Today, Jose Avendano Arbelaez shares another guest post with us. Make sure you let us know your thoughts in the comments section. The rise of project-based learning and low-cost electronics kits have made it possible for an increasing number of primary and secondary school students to gain classroom experience with robots and participate in competitions involving robot programming and design. 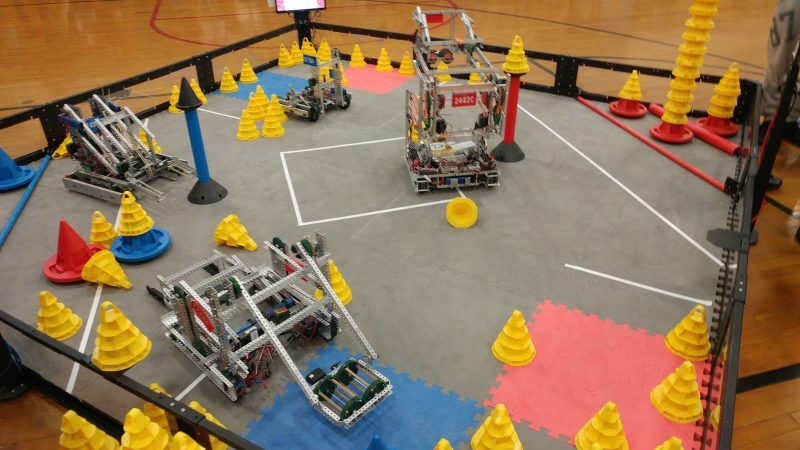 MathWorks supports many robotics competitions and provides students with tools that might ease the transition to learning engineering concepts. This can build interest in pursuing careers in science and technology. 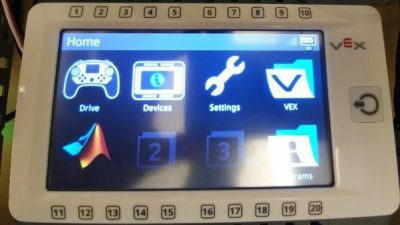 With the launch of the R2018b version of MATLAB we are happy to announce Simulink support for programming the VEX EDR V5 robot design system. MathWorks supports competitions like VEX Robotics, BEST Robotics and RoboCup Junior. 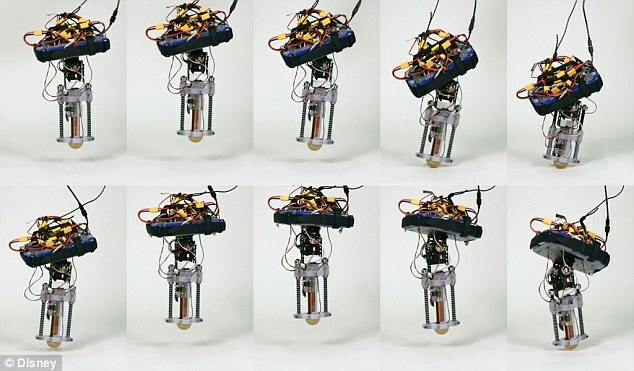 In these competitions, participants need to create unique robot designs and then program them using an assortment of sensors and actuators. To make the learning curve less steep for students, these competitions use robot kits that are specially developed for this audience. These robot kits provide an ideal first experience for students getting started with robotics, since they do not need to perform tasks like soldering and matching of hardware specifications. Robot design kits such as the LEGO Mindstorms system and VEX EDR have made it possible for students to quickly become proficient at building robots and get encouraged at the idea of participating in competitions. Why Does MathWorks Support VEX EDR? 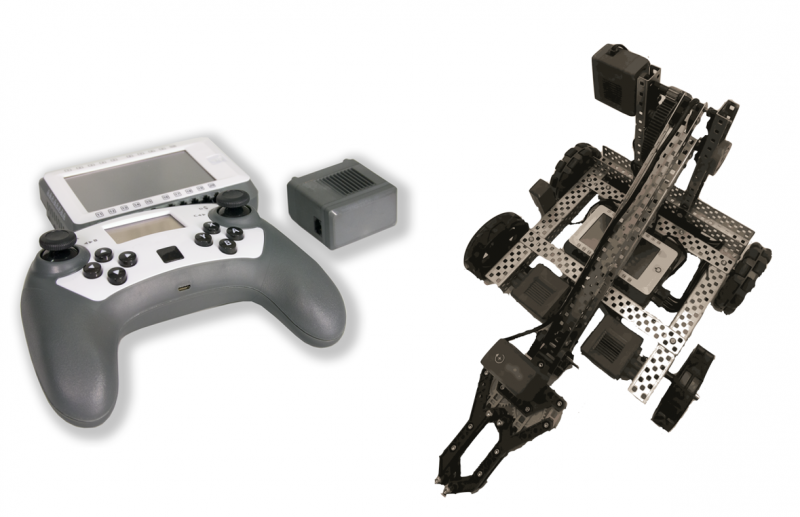 Schools have been eager to adopt the VEX hardware worldwide due to the modularity that it provides. Electronics and structural components are easily put together into a robot with basic tools and simple instructions. Additionally, the VEX Robotics Competition is the largest robotics competition in the world, and its world championship event hosts over one thousand teams every year. These events inspire students to learn more about robotics and are a great way to build the STEM community. Furthermore, Simulink has provided support for the VEX EDR system since 2015 when the Simulink support package for the ARM-Cortex Based VEX Microcontroller was released. Since then, students participating in the BEST and VEX Robotics competitions have greatly adopted Simulink to speed up the programming of their competition robots. The BEST Simulink Design Award captures students that make the best use of Simulink for each the regional events of the BEST Robotics competition. We found that every year the students get more creative with their Simulink implementations. Check out some of the winning team submissions to this award here. Why Is The New V5 System Exciting? Smart Connections: Because all devices now use the same connection, you can connect devices to any port in the robot brain. 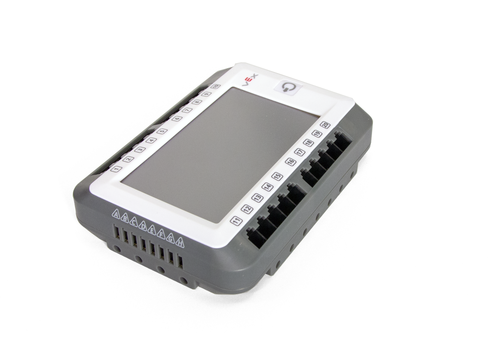 This means no more keeping track of different types of wires or getting frustrated over pins breaking off your connectors. Onboard Debugging: By default, you can use the screen menus to test and identify all your connected devices. 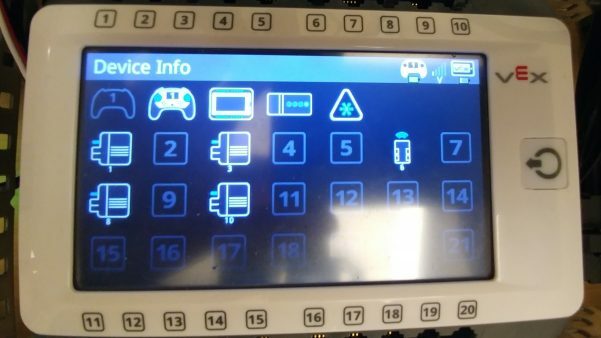 Check which ports are connected to motors, test the functionality of gamepad buttons, and view the values provided by the analog/digital interface without the need to upload individual test codes. Multiple Programs: Robot development inherently means a lot of testing and waiting for code to be compiled and uploaded to your robot. Time spent can add up quickly, especially if you are trying to adjust minor parameters or implement driver feedback. Now you can have multiple programs in your robot and even pick which program to run from the screen available on the gamepad. The new hardware has lots of more exciting features like smart motors that hold their position, a new vision sensor that can identify objects by color and a substantial improvement in processing power. Simulink is a platform for Model-Based Design, which is a design methodology commonly used in industry. In simpler terms, this means that when designing, simulating and programming real world systems such as robots, engineers can focus on the design of the overall system behavior instead of low-level software development. Take for instance programming arcade controls for a VEX robot. 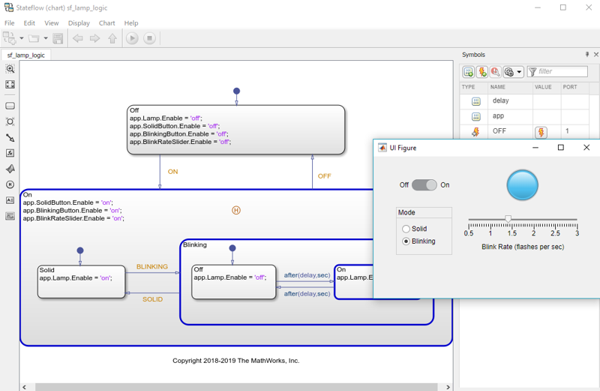 Instead of code, you might use a Simulink model like the one below. A model like this will not only program the hardware with a single click, but it also makes it possible to simulate the algorithm beforehand and make sure that it behaves as intended. A block diagram is conceptually much easier to understand than pages of text-based algorithms. The advantages of model-based design become even more prevalent when the systems get more complex. 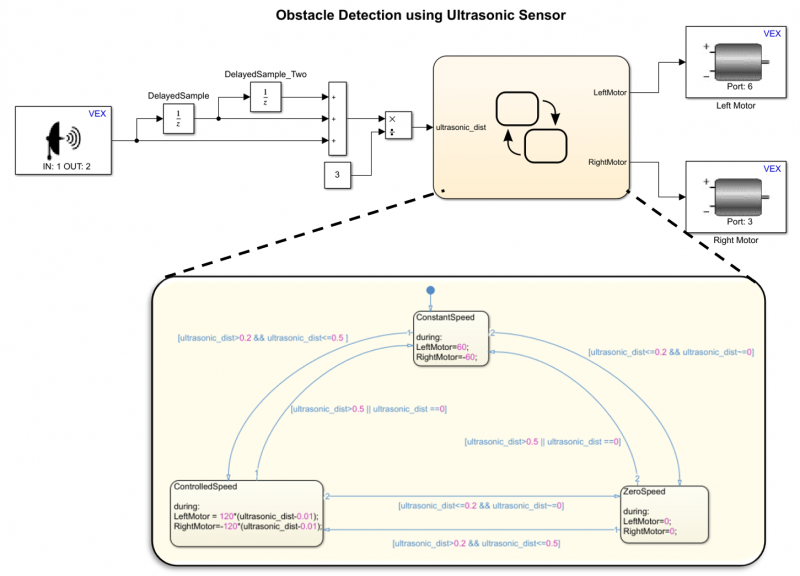 Take the following Simulink model that avoids obstacles. This model acquires information from the ultrasonic sensor, applies a three-sample average and then implements a state-machine in Stateflow to decide between different operating modes to set the speeds of the motors. Having all your algorithm in the same diagram makes it easy to develop, debug and even share your algorithms with teammates. In addition, Simulink has extensive libraries of signal processing, control systems and more. Get started programming VEX hardware with Simulink! 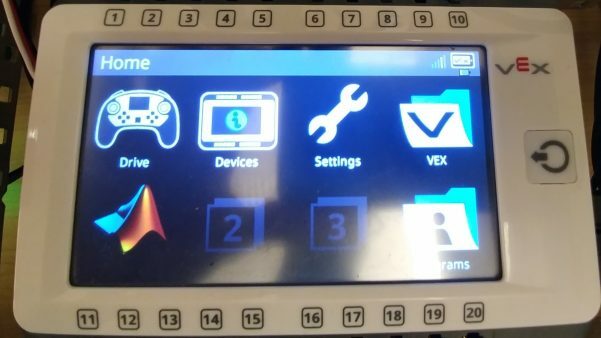 As part of our student competitions program we provide complimentary MATLAB/Simulink licenses and have put together great resources for students and teachers to get ramped up in Simulink to get the most out of their VEX hardware. Whether you are using the previous Cortex-based EDR system or the new EDR V5 system, you will find video tutorials on how to get started with Simulink, Stateflow and our hardware support packages in our Primary and Secondary School Competitions Hub video blog. In addition to this blog you can access our Mobile Robotics Training video series that will cover the basics of mobile robot control and path navigation. On top of that, if you are an educator and want to use Simulink in conjunction with VEX in the classroom, we have courseware for getting started with MATLAB and Simulink for VEX Robotics that you can download an reuse. Looking forward to seeing more cool projects from students taking advantage of this great pairing of hardware and software! As always, do not hesitate to contact us with any comments or questions at passcompetitions@mathworks.com. What has one leg, hops like a pogo stick, and could someday replace Tigger at Disney?